Below is a list of links to other catfish related sites. If you wish to report a broken link, or request that a link to your site be added, please post in the bugs & suggestions section. Please note that only links to catfish related sites will be added. All about selected Asian cats. Aspredinidae - Tree of Life Scientifically slanted investigation into this often overlooked family of catfish. The online community for the Bristlenose Keeper. Callichthyidae - Tree of Life Scientifically slanted investigation into the ever popular (and expanding) armoured catfish family. The online community for the Canadian Pleco Keeper. Catalog of Fishes A vast, searchable database of references on all species of fish. Catfish Study Group (UK) The Catfish Study Group is UK based, but members from around the world are more than welcome. Background and activities information is provided along with an online membership form. The best in its genre although parts of the site are pay per view. Huge database of all fishes with a feature rich search engine which is well worth a query or two. If you haven't got all day to surf then you can also buy the database on CD-ROM from the site. Freshwater Fishes of Argentina A direct link to the catfish section of this site. Greg's Image Gallery A varied selection of catfish (and other fish) pictures. Johnny Jensen's Photo Library and Aquarium Photo Library Two interconnected sites featuring many glorious pictures of varying things (travel, nature, sportsfishing) picture but you don't have to look far to find some great catfish (or "maller") photos. Another Japanese Corydoras site, this link points to the English section - check out the Corydoras Encyclopedia. Jon Armbrusters Loricariid Page Cutting edge scientific pages written by an expert in the field. Plenty of taxonomy and pictures too. Very interesting site for pleco people! Master Index of Freshwater Fishes If you want to find further references for a particular species, then go here. 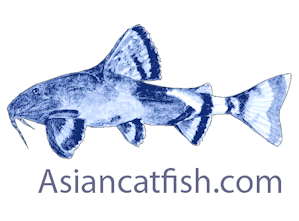 "An online community for pleco fans, from beginners to experienced breeders." A fellow Scottish site with loads of good information, particularly on breeding Corydoras. To allay a certain popular cybermyth, visiting PlanetCatfish.com will have had no adverse effects on your Pl*co.